Mustardseed Productions' Youth Theatre Ensemble presents Aesop's Fables: Lessons For All. 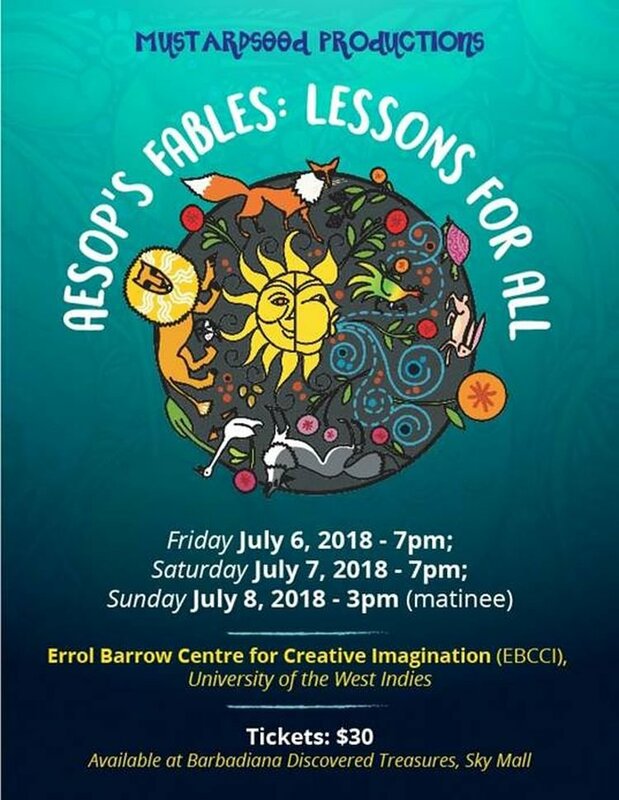 This production takes place at the Errol Barrow Centre for Creative Imagination, UWI, Cave Hill, St. Michael and is an exploration of some of the most well-known fables of Aesop, with their curious characters and enlightening and inspiring lessons and morals. Through movement, song, rhythm, rhyme, storytelling and play-making, the children and young people share these fun tales while reminding us of some important life lessons along the way. Tickets: BB$30 (available at Barbadiana Discovered Treasures, Sky Mall, St. Michael).